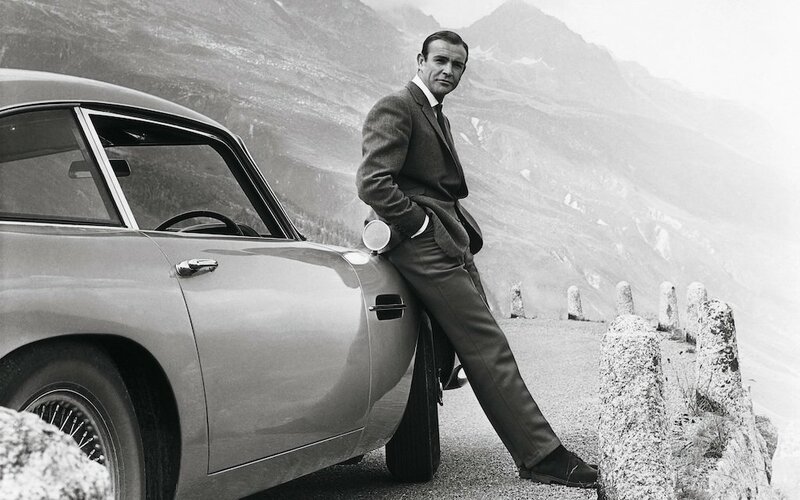 “I never joke about my work, 007,” says Q.
We’re happy to announce that this isn’t a joke either: Aston Martin is building 28 Goldfinger continuation cars. 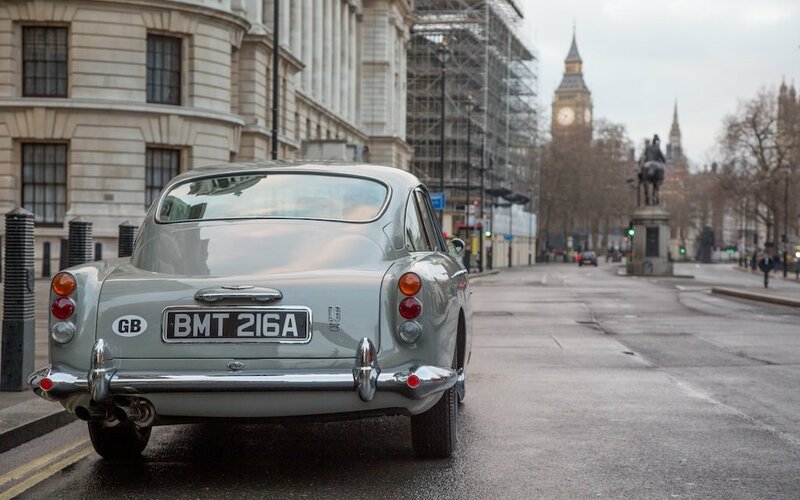 In other words, “authentic reproductions of the DB5 seen on screen,” according to a press release. 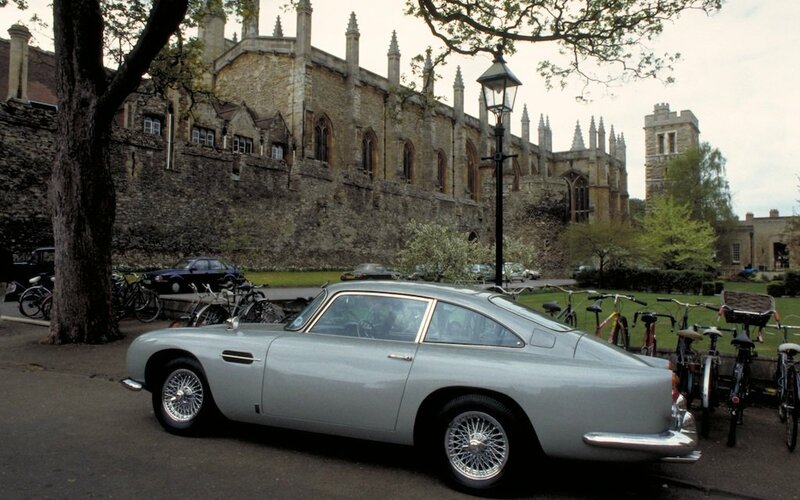 If you don’t have an encyclopedic knowledge of Bond cars, this one — as detailed by Desmond Llewelyn — includes a bulletproof windshield and windows, revolving license plates (valid in all countries, naturally), an ejector seat controlled by a little red button in the shifter and a center console that holds “defense mechanism controls” for a smokescreen, oil slick, rear bulletproof screen and, last but not least, left and right front-wing machine guns. Unfortunately, at the time of the announcement, Aston Martin has only committed to the revolving license plates. But with the cars being developed in partnership with Bond-producers EON Productions and Corbould at the helm, we’re not worried about this veering into gimmick territory. 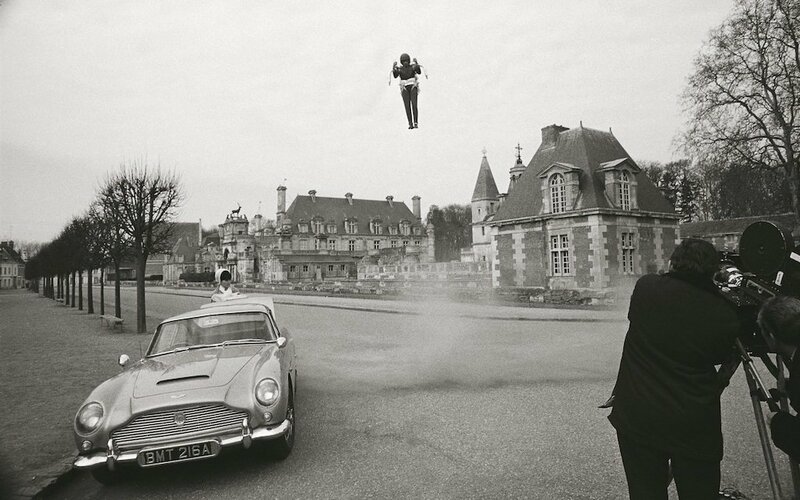 He’s in the Guinness Book of World Records for “Largest Film Stunt Explosion” (from Spectre) and has been a special effects supervisor all the way back to GoldenEye, which featured another DB5. 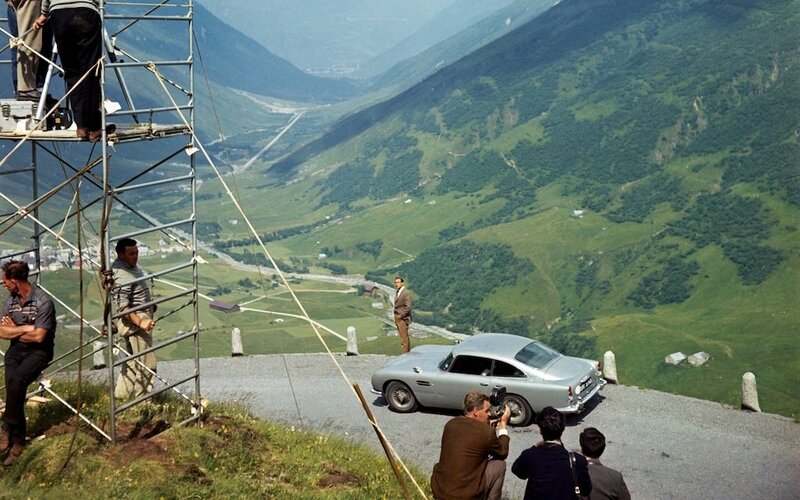 Even more peace of mind comes from the fact that Aston Martin has already found its footing in the continuation car game, notably with a successful production of 25 new versions of the DB4 GT. 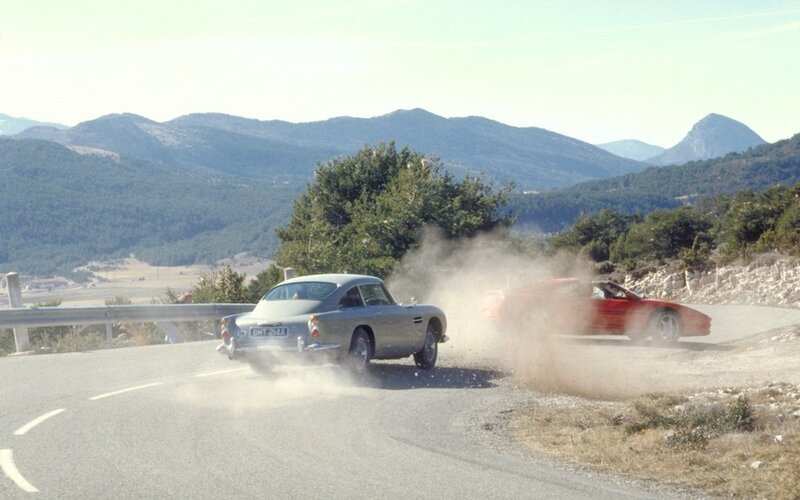 Although, like the DB4, the one big drawback is that these new DB5s won’t be road legal. The cars will be priced at around £2.75M (or roughly $3.5M), and only 25 of the 28 will be sold to the public. One will go to EON, one to Aston Martin and one will be auctioned for charity. Deliveries will begin in 2020, at which point you’ll have to white-knuckle it every time you pass a DB5, wondering whether or not some poor sap will be launched through the roof.